Thanks you for visiting the JDH Design blog. I am J.D. Hartnagle, Principal of JDH Design. 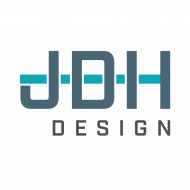 In addition to providing information about the services offered by JDH Design, I wanted to provide commentary on some of the recent trends and emerging technology most relevant to the Automation Industry, specifically in the field of Industrial Automation.